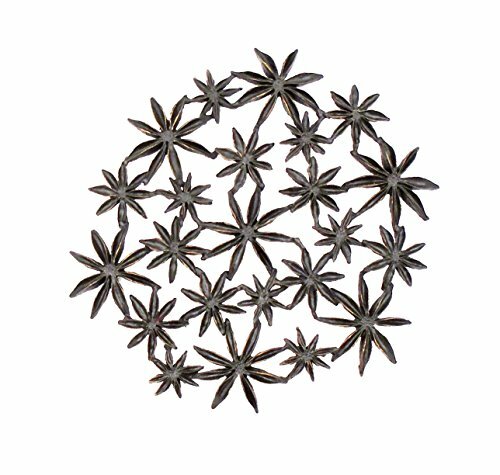 This Trivet is cast directly from the Star Anise. It is cast in Antiqued Brown Bronze. The feet have a plastic coating, so no scratching on your table. A beautiful addition to your table! Measures 5 1/2" x 6" ** This Trivet is brand new & comes boxed** Included with your purchase is a history & information card. Gift Boxed & Brand New! Measures: 5 1/2" x 6"